Cat Requests Love From His Owner, But Listen Closely… This Is The CUTEST Kitty In The World, Omg!! When this adorable kitty requests some love and petting from his owner, it’s probably the CUTEST thing in the world! 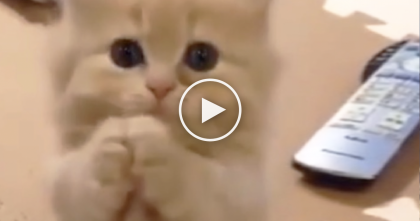 – This adorable kitty meows in the cutest way, but take a closer look at his face and your heart will melt! 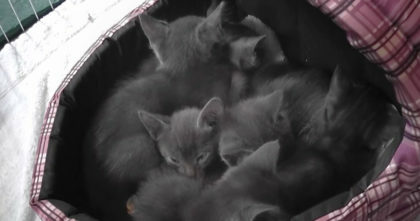 This adorable face could melt the coldest heart, especially with these cutest little meows. I’ve watched this like 5 times and I could keep watching it over and over… SOO fluffy, SOO cute and SOO priceless! 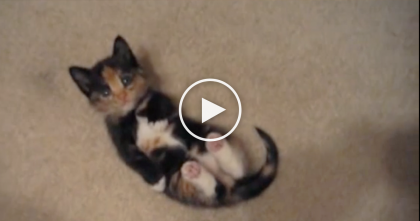 OMG, this is the sweetest thing ever—SHARE this adorable video with your friends!! 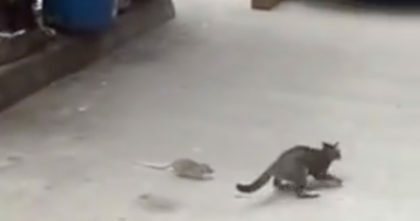 They noticed a rat chasing the cat, but when they start recording… I can’t stop laughing, Hahaha!! Kitty Jumps On The Dog’s Back, But When They Took A Closer Look… Nobody Could Believe This, LOL.